Love the tone and feel of this verse. As always, the words are beautifully woven. The descriptions make you feel like you are right there…within one of those everyday moments we all take for granted. Very well done. Very nice! The poem just flowed! Thanks for the artful reminder that rhodos are awesome. You’re welcome – Yours truly, Azalea. Love your use of words and love the pictures you use, truly inspirational. 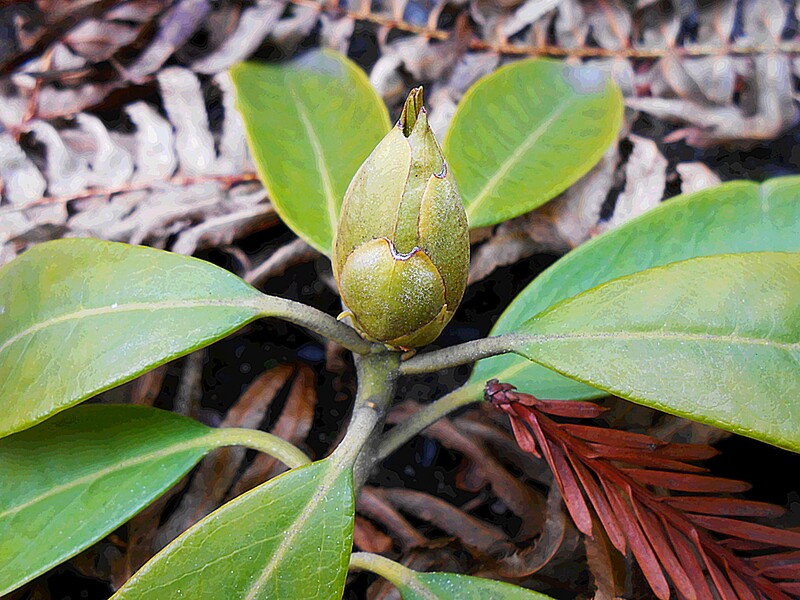 Beautiful the way the rhododendron leaves underline your story. Thanks for visiting my site and also for all your beautiful photos and poetry. Thanks ourlittlehouse, but I must decline your generous offer. Take care! The way you wrote this, is real craftsman like. Keep up the great work! I love the imagery and rythmn of this poem. A beautiful way to start my day 🙂 Thank you. Beautiful poem, thanks for sharing! I love the gentleness of this poem, the delicacy, the wistful sadness.